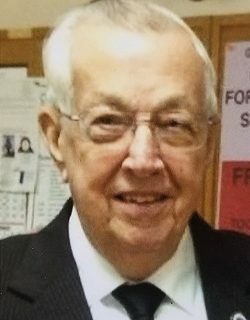 Donald E. Shellenbarger, age 90, passed away February 12, 2019, at 1:05 am, at the Lima Memorial Health System. Don was born July 11, 1928, in Lima, OH, to Cloyd and Ethel (Musser) Shellenbarger who preceded him in death. On February 2, 2002, he married Alice Anderson Shellenbarger who survives in Lima, OH. Don had attended the Shawnee High School. After high school he joined the U.S. Naval Reserves serving during World War II. Don spent 42 years working for Teledyne Ohio Steel and when he retired in 1991, he was the general foreman in the forge shop. 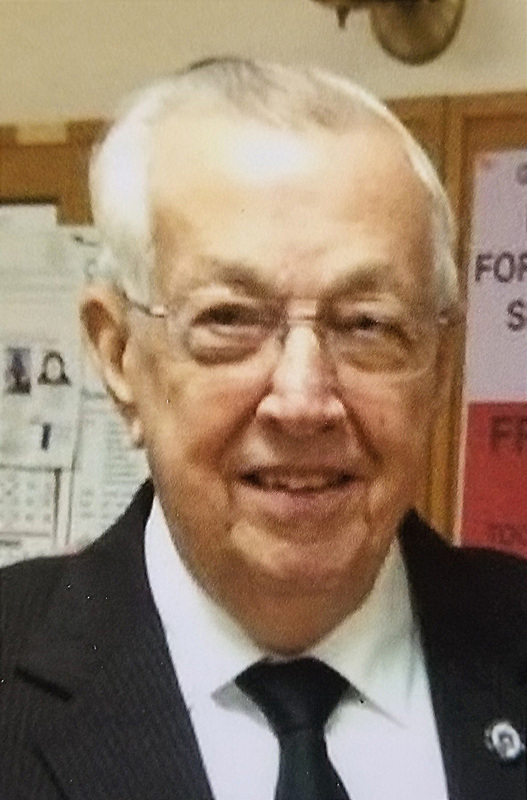 Don was a member of the Westminster United Church of Christ. He was a 50 year member of the Sager Lodge # 513, Valley of Dayton, Past Patron of the Lafayette Chapter #121 Order of Eastern Star for 48 years and a Past Monarch of the El-Karan Grotto. Don also was a volunteer with the Westminster Rural Fire Department. He was instrumental in forming a little league baseball in Westminster. Don will be remembered as being a loving and dedicated husband, father and grandfather. In addition to his wife, Don is survived by his children: Linda L. Smith of Lima, OH, Steven (Janie) Shellenbarger of Lima, OH and Roger (Julie) Shellenbarger of Wapakoneta, OH, 4 step-children: Michelle (Jim) Shafer of Middleburg, OH, Robert (Jennifer) Allen of Pascagoula, MS, Clayton (Lindsay) Hellman of Cranberry Township, PA and Stephen (Shannon) Hellman of Tipp City, OH, 8 grandchildren, 18 great grandchildren and 2 great great grandchildren. He was preceded in death by his previous spouse, Norma L. (Lutes) Shellenbarger, a son in-law, Dennis K. Smith, 5 brothers: Art, Henry, Robert, Burt and Harold Shellenbarger, and 2 sisters: Leona Johnson and Maggie Funk and an infant sister, Clara Marie Shellenbarger. There will be a funeral service held on Saturday, February 16, 2019 at 11:00 am at the CHILES-LAMAN FUNERAL AND CREMATION SERVICES, EASTSIDE CHAPEL. Officiating the service will be Rev. Patrick Kamler. Burial will be in Salem Westminster Cemetery following the service. Friends may call on Friday from 2-4 and 6-8 pm at the EASTSIDE CHAPEL. Following visitation there will be Masonic Services held at 8 pm. Memorial contributions may be made to the Enchanted Lantern Fund with the El-Karan #56 which benefits dental care for handicapped children or the Westminster Rural Fire Department. Condolences may be expressed to the family at www.chiles-lamanfh.com.